Traces the band's history from psychedelic 60s London to a reunion show at Live 8 in 2005, this is the story of a succession of musical and commercial peaks separated by a succession of struggles around the creative leadership of the band. "Wish You Where Here" was released September, 1975. 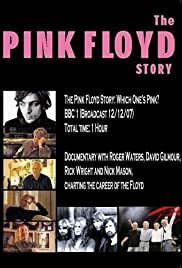 Interviews with Roger Waters, David Gilmour, Nick Mason and Richard Wright as they tell the story of the creative process of this album. Details one of the most elaborately staged theatrical productions in music history as Pink Floyd frontman Roger Waters performs the band's critically acclaimed album The Wall in its entirety.